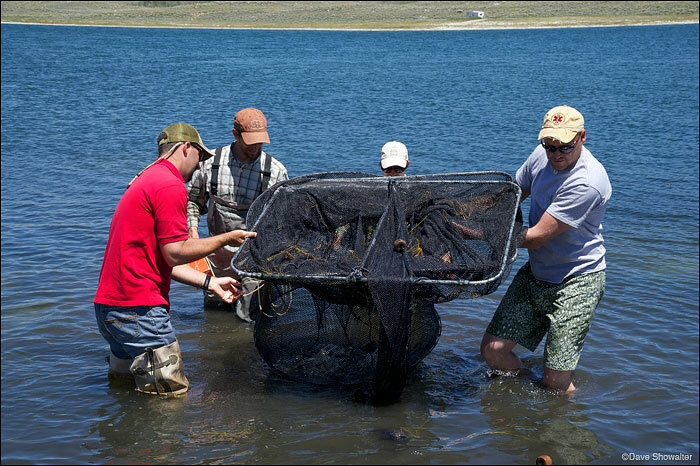 Darren Rhea of Wyoming Game and Fish leads the group as a fish net is pulled from Soda Lake. Audubon Rockies Bioblitz, June 23, 2012. Soda Lake Wildlife Management Area. Photo © copyright by Dave Showalter.